iRTUe devices are auxiliary equipment for the iRTU remote units that allow expansion of their acquisition and command capabilities in order to suit the requirements of each application and facility. 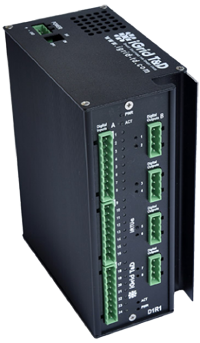 iRTUe units include two RS422 serial ports (1 input / 1 output) for communication with iRTU units (using their EXP422 port). Connection is through 6-pair flat cable with RJ12 connectors.